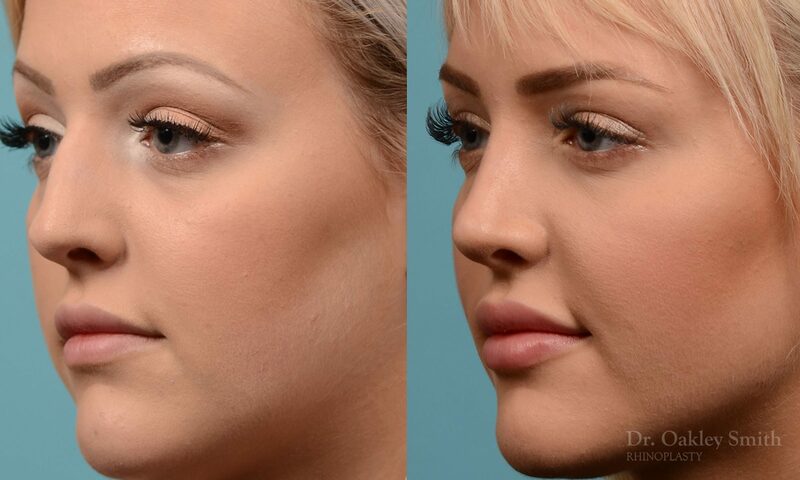 This early twenty year old from Toronto had a skateboard injury and had decided to see Dr. Oakley Smith when she discovered a friend had already had rhinoplasty by him. She wanted to breathe better, her nose straight, the bump gone and her tip less round. She was fine with the overall size of her nose. 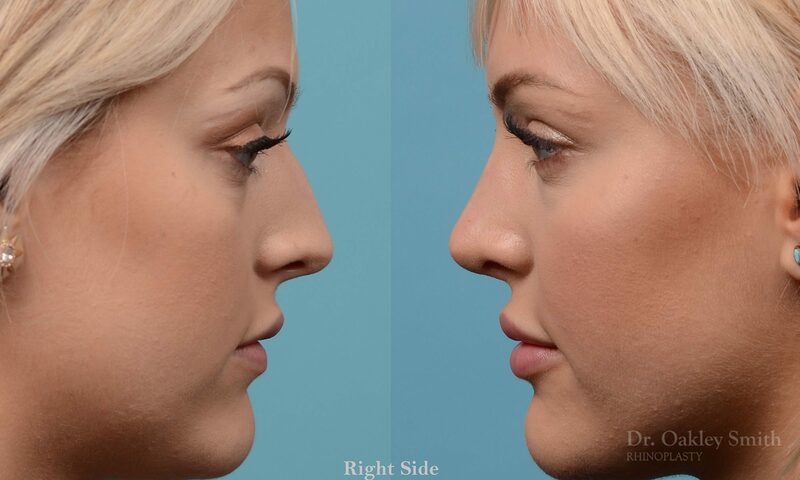 Crooked noses are one of the most difficult abnormalities to repair in plastic surgery. 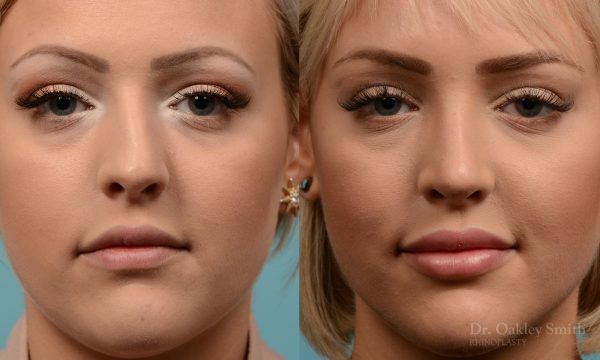 People often believe that straightening the interior twisted septum will result in a straight the nose externally. This in fact seldom occurs. 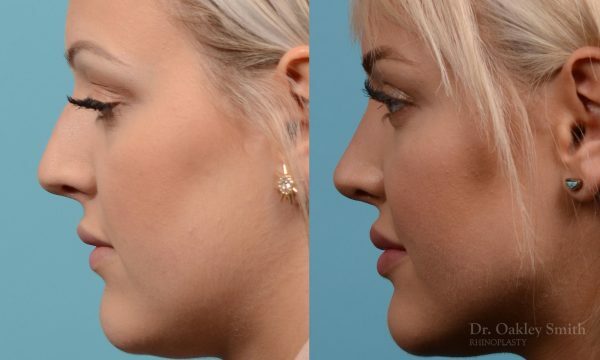 The deviation that causes impaired breathing isn’t the same part of the septum that is involved in the external crookedness. Additionally, the sides of a nose are firmly attached to the septum and thereby prevent this part from moving while the interior part does. One reason for the reduced success rate is cartilage memory. Cartilage tries to return to its original position. It resists surgical intervention. There are many techniques available to counter this characteristic of cartilage. In her case the right cartilaginous side wall was trimmed and her septum pulled over and secured by suturing it together. She is delighted with the results and is happy to share her journey with the world on Instagram @rhinoplasty.diary. Reposts can also be found on Dr. Oakley Smith’s Instagram account @droakleynosebest! 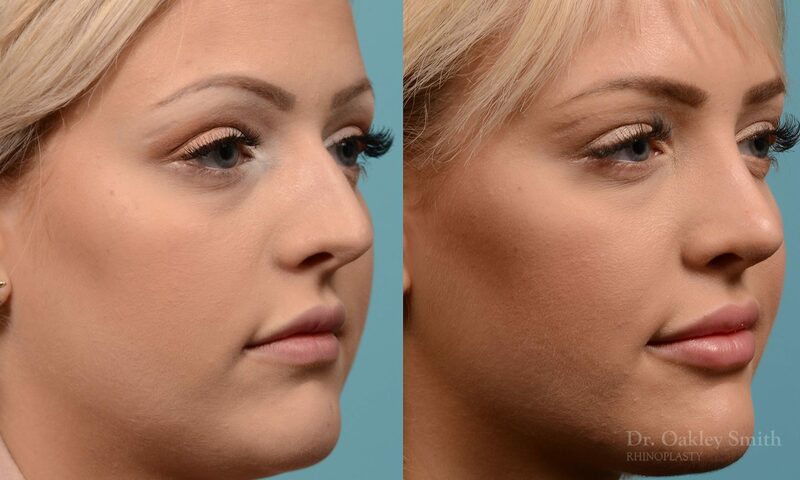 Dr Smith wishes to thank her for allowing her before and after rhinoplasty photos to appear on his website.